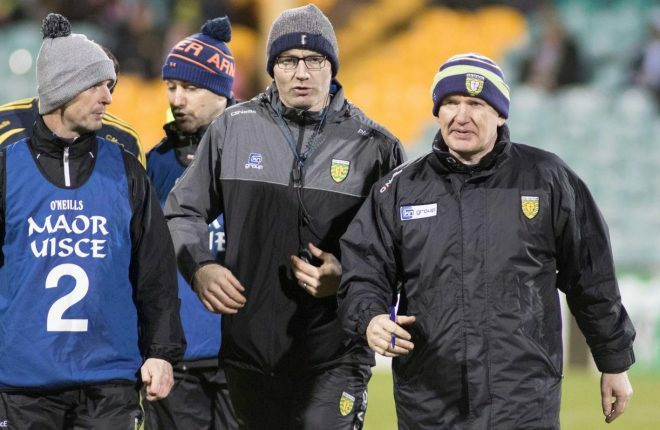 The McKenna Cup got up-and-running on Wednesday night and it was good to get the campaign off to a positive start. 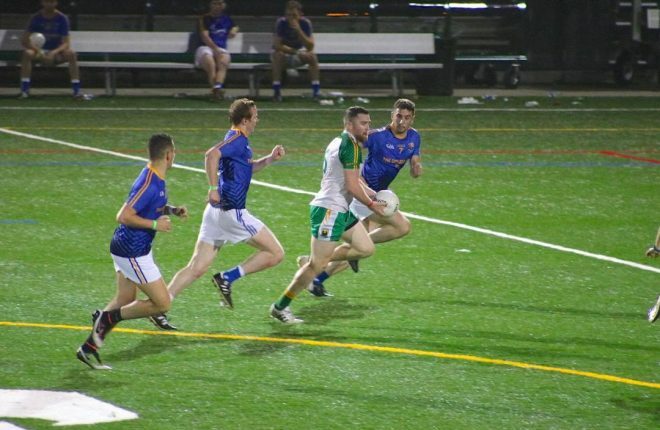 The lads have been working hard in training, and we had two challenge games, but there is a different feel to a competitive outing, even if it is against a University side in the McKenna Cup. You have the crowd to contend with, and the national anthem, and lots of different things that take getting used to, if you haven’t experienced it before. Queen’s came with a couple of county players such as Niall Keenan, James McMahon, and Emmet Bradley, but it was a tough ask for them on the night, and I felt we were always in control of the game. Our attitude was spot on from the minute we met up before the match, and we started the game well, and went into a 1-5 to no score lead. We then got a little sloppy towards the end of the half, and probably were fortunate enough to get a goal just before the break, although Nathan Mullins showed great hunger to score it. We got the lads in at half-time and steadied things a bit, and I felt we got back on track in the second half, and kicked some nice scores. It was a good victory and I was pleased with the lads that featured on the night. We also had some of our more experienced players doing conditioning work in Ballybofey, and they are building up their fitness as well. I feel that when we get everyone back in together, we will have a decent squad, but it will take a few months for that to come to fruition. We have broke it into three phases, with a panel for the McKenna Cup, then five or six more players will come in for the start of the National Football League, with a few of our older men set to play in the final four league games as we gear up for the championship. 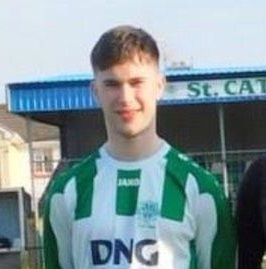 The only real negative from the game against Queen’s was the injury picked up by Cian Mulligan, and he probably won’t feature until the league now. He played very well when he came on, and he is a dynamic player, who gets into good positions. Cian’s still finding his feet at senior level, and it was a young team that we fielded on Wednesday, with the average age around 22. We do have talent coming through, and the job for myself and the management team is to nurture that talent, and instil the belief that they are good enough to play at senior grade. Then, we have to blend them together with the established players. Winning games helps, and that’s three from three now when you take in our victories over Roscommon and Armagh in challenge games over the last two weeks. We want to create a healthy atmosphere and a winning mentality, and the best way to do that is to keep winning games. I’d like to give a special mention to the grounds staff at MacCumhaill Park, who did a brilliant job in making sure the pitch was playable. There was a serious amount of rain over the 24 hours before throw-in, and I was worried that the game was going to be called off. I was keeping tabs on the situation and was told at 1pm that as long as there wasn’t too many more downpours, then it would make it, and thankfully that’s the way it panned out. We had players coming from down the country and you don’t want them to have a wasted journey. The other part of it is that it’s such a congested calendar this year that you can’t really afford to have a postponement, as there aren’t too many gaps to reschedule fixtures. In the end, the wind and rain eased off for the match, and turned out to be a nice evening, and it was good to see a healthy crowd in attendance. It didn’t go unnoticed that people were coming out in the cold on January 3, when they could have been sat in front of the fire. Our supporters are going to be vital this year, and we need their backing. I remember back to my own playing days and you always got a lift when you got a big cheer from the crowd, and it’s the same thing nowadays. I know from talking to different people around the county that a lot of fans are booked to go down to Killarney for our first league match and that’s great to see, and very welcome. It’s a cliché, but I would like to see our supporters become our 16th men, and really give us that extra support when we need it this season. I’m sure we will get good backing again this week when we head to Clones to face Monaghan. 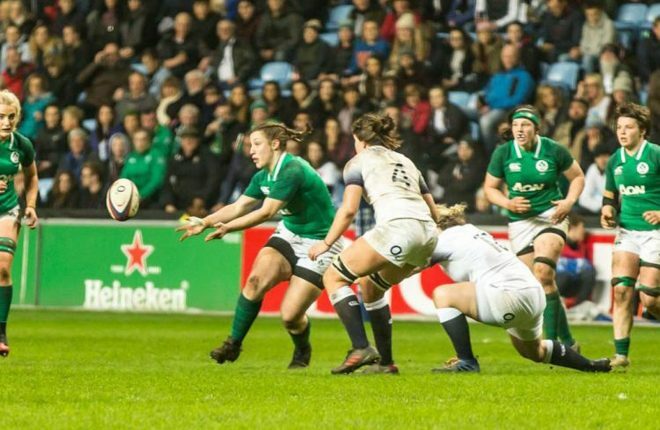 There have been some excellent battles between the counties over the last five years, and while Sunday’s game won’t be the white heat of championship battle, it’s not one that either of us will want to lose. 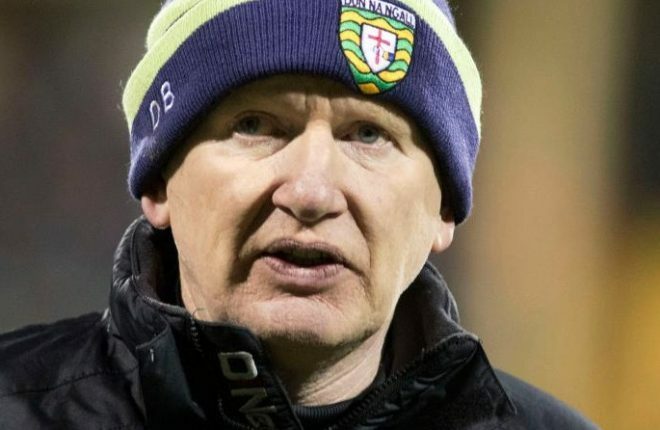 From what I can gather, Monaghan are resting some of their experienced men in January like ourselves, but they still had Fintan Kelly, Rory Beggan, and Darren Hughes against Fermanagh on Wednesday night, so they will have plenty about them. 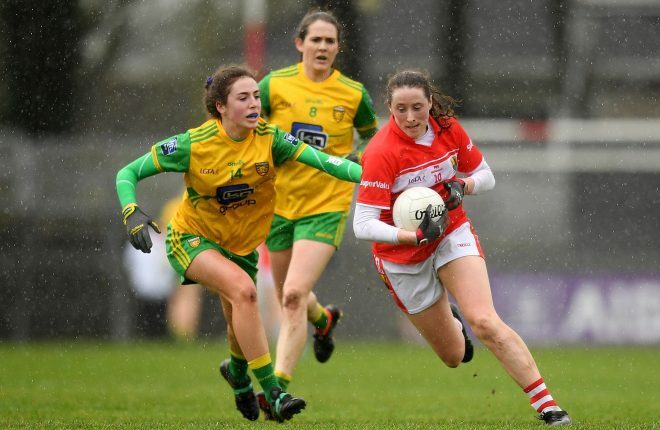 The Farney county won the Ulster minor title in 2013, and then backed that up by winning the provincial crown at Under 21 level two years ago, so they have talent coming through. 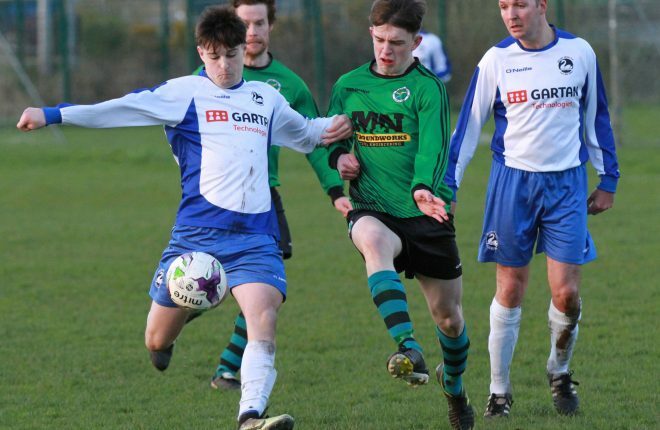 There’s a lot of talk about David Garland and Michael Bannigan, who are two exciting players studying at DCU, and James Wilson was an Ulster Schools All Star last year. They will provide firepower, so our defence will have to be on guard. The pace will lift up a few notches from the Queen’s game, and we will have a look at a few other faces and see how they get on. 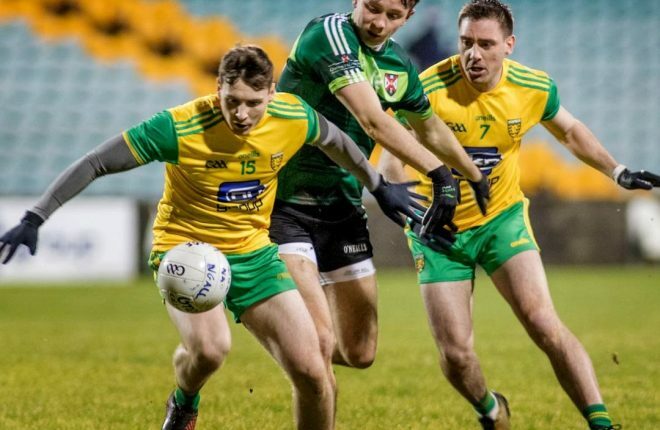 The overall aim of the McKenna Cup is to get things into line for Kerry in that first league game on January 28, but we will be going to Clones looking for another win this Sunday.